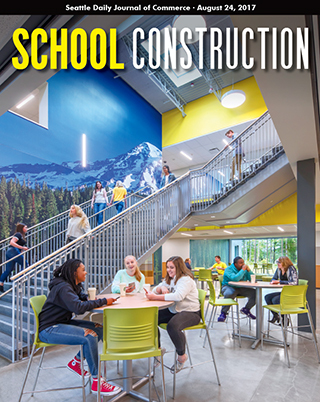 The new Tahoma High School and Regional Learning Center in Maple Valley opens its doors on Sept. 6. 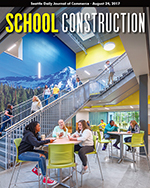 DLR Group is the architect and Skanska USA Building is the general contractor/construction manager. 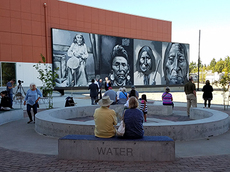 The murals were painted by Native American artist Andrew Morrison for Seattle’s Wilson-Pacific School campus, and preserved in a replacement project. Buildings on the century-old campus in Wallingford will be restored and updated for the digital age. 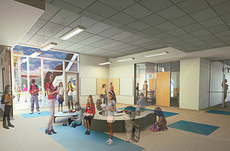 Salish Coast Elementary will open to a central courtyard where teachers can hold class in sheltered spaces that have seating walls for students. The team found creative and cost-effective ways to overcome the site’s physical challenges. Olympic Hills has a community clinic, welcome center and full-size gym for after-hours events. 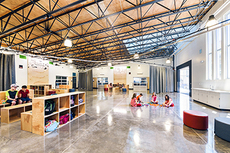 The flexible hub-and-spoke layout at Redmond Elementary allowed architects to “plug” a new wing into the central core. 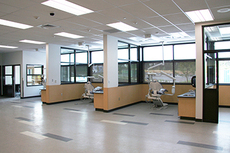 Puget Sound Skills Center students in Burien will train in a dental lab that looks like a professional dentist’s office, and in a nursing lab with eight hospital beds and a bathroom. 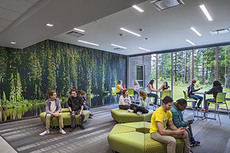 Both have a mix of large, flexible spaces for group activities and smaller, quiet rooms where students can study alone or work in small groups. 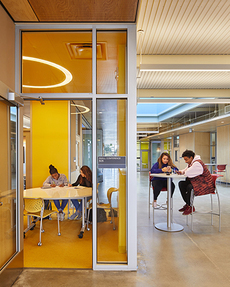 The 14,000-square-foot addition offers an open, flexible space where middle schoolers in a struggling community can prepare to get ahead. 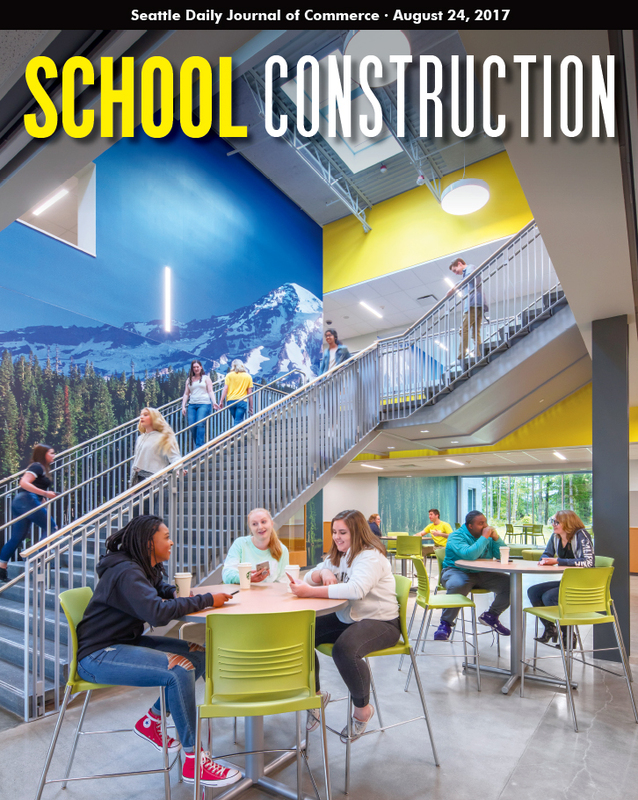 With limited access to public funding, charter school builders must make the most of tight budgets. Some are doing this by opening schools in existing buildings.